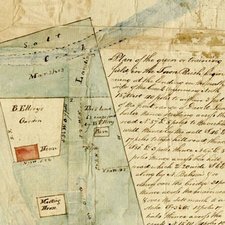 Discover Fitz Henry Lane Online—a freely-accessible interactive and interdisciplinary online resource created by the Cape Ann Museum. 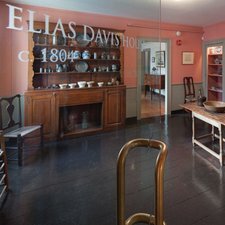 Find out about the Museum's historic properties: The White-Ellery House (1710) and the Captain Elias Davis House (1804). The Library & Archives are a major resource for the study of the industrial, social, maritime and art history of Cape Ann … find out more. 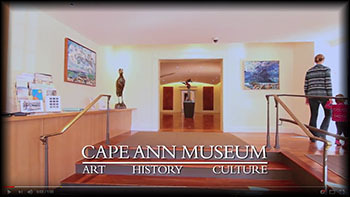 The Museum's collections, displayed in an intimate and inviting setting, celebrate the rich story of Cape Ann's evolving artistic and cultural history.The fine arts collection spans the full range of art made on and about Cape Ann, and uses the Museum's Library & Archives, historic buildings and artifacts to ground that art in a powerful sense of place. 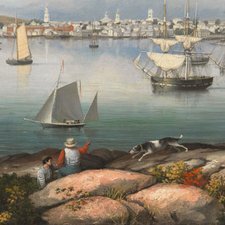 The Museum’s collections represent the history of Cape Ann, its people, its industries, and especially its art and culture—we invite you to explore! The collection includes the largest grouping of works by native son and renowned marine artist, Fitz Henry Lane (1804–1865) ... read more. How are we doing? Take our quick survey to let us know—we value your opinion!